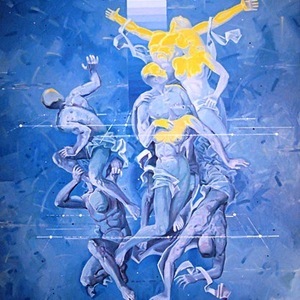 Aleksander Filipi Albanian Painter , Born in Berat , Albania on 16.10.1952 PRINCIPAL ART WORK 1978 - 1980 Realization of the Mosaic " ALBANIA " 400 m2 in the National Historic Museum in Tirana , Albania ( co-author) . 1985 - 2 Mural Paintings at Sinja Museum in Berat Albania 10 m2 . 1986 - Mural Painting in Textile Factory of Berat 120 m2 1992 - Personal Exhibition in National Art Gallery of Albania 1996 - Personal Exhibition at the European Community Embassy of Albania 1998 - Mural Painting at the Catholic church of Kucova , Albania 20 m2 1998 - Mural Painitng at Maracaibo International Airport " La Chinita " 25 m2 2002 - Mural Painting at The Catholic church of Uznova Albania 10 m2 2004 - Mural Painting at the Gynecologic Clinic " URSULA " in Tirana Albania 6 m2 2005 - 4 Composition Artwork interior Hotel " Brilant Antik" Tirana Albania 2006 - Mural Painting in University Agricultural science Kamza Tirana Albania 12 m2 .